When my kids were little, the days were busy and there were lots of things to remember. More than once, we didn’t realize formula was getting low until we made the last bottle. Cue the formula / diaper run- time to run to the nearest store and pick some up. Cue the longest formula run ever. 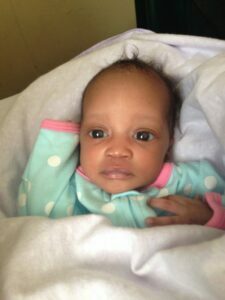 Thanks to the power of social media, we have 3 “shipments” of preemie formula coming to the Neema House this month. From Nanyuki, Kenya to Marietta, Georgia to the UK and then all around, multiple people have responded, some people have share the post, and it connected with someone traveling to Kenya. We now have formula being taken over tomorrow, the 20th and the 25th. Way more than running out for a quick formula pick up, this formula run is occurring 8,000 miles away! 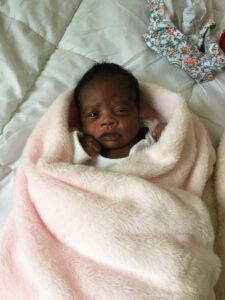 We are so appreciative of those who commented, and shared, and found folks coming to Kenya to bring all the formula our little Claire needs, and more. She will have enough until she gets big enough for infant formula, and our supply is restocked. You guys are awesome! I love how God moves and mobilizes the resources He needs. The sweetest part of the story came a few days later. Today, we got word from a nearby hospital and precious Catherine came home with Annie. Catherine is just 3 weeks old and weighs only 4lbs. She will definitely be digging into that formula and those sweet preemie clothes.